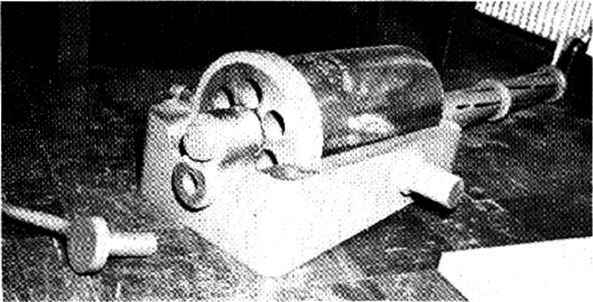 Bushmastcr round, initial performance estimates showed this type mechanism capable of unequaled weight and rate of fire characteristics. 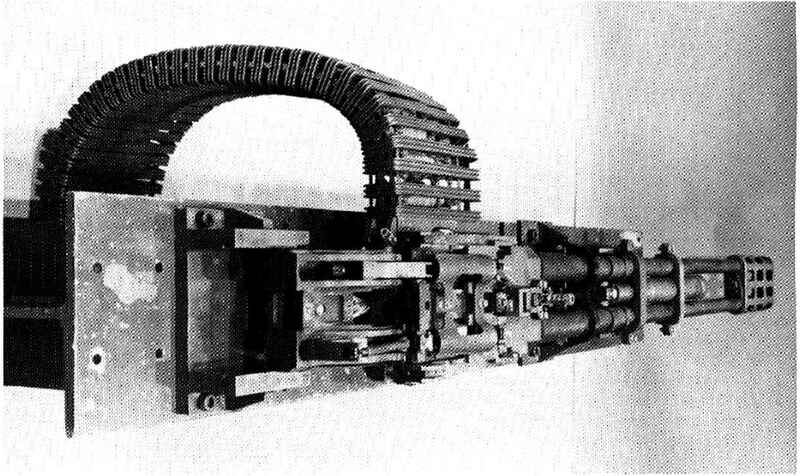 In 1982, a design study was made to thoroughly investigate the Gast-type of mechanism in a 25mm gun, to be designated the GE 225. Results showed that the GE 225 could be designed to fire at least 2000 spin and that it would weigh only 200 lbs. including recoil mechanism, feeder and gas drive, substantially more firepower and less weight than any comparable gun or concept.